Debra Huston, Administrative Law Judge (ALJ), Office of Administrative Hearings (OAH), Special Education Division, State of California, heard this matter on June 19 through 22 and June 27 through 28, 2007, in Pleasanton, California. Paul Foreman, advocate,1 and Monica Wegner, Attorney at Law, both of Community Alliance for Special Education (CASE) represented Student. Mr. Foreman attended the entire hearing. Ms. Wegner attended the hearing, but left during the last afternoon of hearing due to illness. Student’s mother (Mother) also attended the hearing, with the exception of two hours on the last afternoon of hearing. Student’s father did not attend the hearing. Karen Samman, Attorney at Law with Lozano Smith, represented Pleasanton Unified School District (District). Kent Rezowalli, Senior Director of Special Education for District, also attended the hearing. Claudia Weaver, Attorney at Law with Lozano Smith, observed most of the hearing. Mark Goodman, Deputy County Counsel for the County of Alameda, represented Alameda County Behavioral Health Care Services (Mental Health). Elizabeth Uno, Ph.D. and AB 36322 Coordinator for Mental Health, also attended the hearing on behalf of Mental Health. On the morning of June 20, 2007, the second day of hearing, Student reached a settlement with Mental Health and, on Student’s motion, Mental Health was dismissed as a party. Mr. Goodman and Dr. Uno did not attend the hearing after Mental Health was dismissed as a party. 1 At the commencement of the due process hearing, Mr. Foreman informed the ALJ that he was licensed to practice law in Pennsylvania, and was appearing at the due process hearing in this matter as an advocate. 2 Assembly Bill No. 3632 (hereafter AB 3632) enacted Chapter 1747 of the Statutes of 1984, operative July 1, 1986, established interagency responsibilities for providing and funding mental health services to students with disabilities. This enactment is codified as Chapter 26.5 of Division 7 of Title 1 of the Government Code. 3 A request for a due process hearing under Education Code section 56502 is the due process complaint notice required under Title 20 United States Code Section 1415(b)(7)(A). 4 The issues to be determined at hearing were specified in Student’s amended Complaint, and also clarified at the prehearing conference in this matter on June 8, 2007. 5 On the first day of the due process hearing in this case, District moved to dismiss this issue. District argued that OAH had previously dismissed the issue, but OAH’s ensuing prehearing conference order mistakenly included this claim as an issue. District’s motion was taken under submission, to be decided in this Decision. 6 During the June 8, 2007, prehearing conference in this case, OAH struck Student’s request for $7,500 in attorneys fees charged in connection with Student’s juvenile court action for the reason that OAH did not have jurisdiction to order payment of those fees at a special education due process hearing. 7 During the hearing, Student, who had turned 18, provided an assignment of rights to Mother. District had no objection to that assignment of rights. 8 As of January 10, 2006, when District received Mother’s request for assessment, District was obligated to assess Student and make an offer of FAPE if Student was determined to be eligible for special education and related services. District did so. District assessed Student on October 24, 2006, and Student’s IEP team met on December 20, 2006, and determined that Student was eligible for special education and related services under the category of ED. While Student contends this determination was not made in a timely manner, that issue is addressed in Issue 2. 9 Ms. Jennifer Wilde, is a clinical social worker who received her licensed in 1997, and is authorized by Utah law to provide individual, family and group therapy, couple’s therapy, and assessments, and to make and diagnoses under the DSM-IV. She is authorized to create treatment plans with goals and objectives and provide care pursuant to the treatment plan. She is also a therapist. She has created a minimum of 100 treatment plans. Ms. Wilde has worked in this profession for 10 years and almost always carries a caseload of 10 clients with active treatment plans. Ms. Wilde has been employed by Willow Creek for 11 months. She is the assistant clinical director and a therapist. She manages a caseload and supervises the other clinicians. 10 As discussed above, Student’s claims prior to March 8, 2005, are barred by the statute of limitations. Therefore, Student’s claim that District failed to offer psychological counseling as a related service covers the time period beginning March 8, 2005, and ending January 16, 2007. 11 After May 15, 2005, Student was in juvenile hall and unilaterally placed by Mother. As of January 10, 2006, when District received Mother’s request for assessment, District was obligated to assess Student, and did so. Thereafter, District offered residential placement, including mental health treatment, to Student, and Student does not challenge that offer. While Student raises claims about the timeliness of this offer of residential placement, the offer was made. Student’s claim challenging the timeliness of the offer is addressed in Issue 2. 12 As discussed above, Student reached settlement agreements with Mental Health and ACOE. The terms of these agreements were not disclosed at hearing. However, Student is not entitled to reimbursement from both District and Mental Health for the same days of attendance at Willow Creek. District and Student shall confer regarding reimbursement, and to the extent that there is overlap in reimbursement by Mental Health and District, District is not obligated to reimburse for those periods of time. The Alameda County Office of Education (ACOE) made no appearance. Mr. Foreman represented that Student had reached a final settlement agreement with ACOE in settlement of all claims against ACOE. Student filed the request for due process hearing (complaint)3 on March 8, 2007. On March 28, 2007, OAH determined that the complaint was not legally sufficient and granted leave to amend. Student timely filed an amended complaint on April 11, 2007. OAH granted the parties’ request to continue the hearing on May 22, 2007. The record remained open for the submission of written closing arguments, which were received, and the record was closed and the matter submitted on July 20, 2007. The parties stipulated that OAH’s decision would be due 30 days following the date of submission of the case. 1. Did District fail to assess Student in the area of social/emotional needs from March 8, 2005, through January 5, 2006, by (a) failing to conduct a social/emotional assessment; (b) failing to make a timely referral to Mental Health for mental health services pursuant to AB 3632; and (c) failing to include the required information in the referral that was made on May 6, 2005? 2. Did District deny Student a free appropriate public education (FAPE) following Mother’s January 6, 2006, assessment request by: (a) failing to respond to the assessment request within statutory timelines; (b) failing to make a timely AB 3632 referral to Mental Health after receiving the assessment request; (c) failing to complete the requested assessment within statutory timelines; (d) and failing to convene an IEP meeting within statutory timelines? 3. Did District fail to offer Student a FAPE from March 8, 2005, through January 16, 2007, by failing to determine that Student was eligible for special education and related services under the category of emotional disturbance (ED)? 4. Did District deny Student a FAPE from August 23, 2000, through January 16, 2007, by (a) failing to offer and provide Student with psychological counseling as a related service to meet his unique social/emotional needs; and (b) withholding from Mother information regarding the availability of psychological counseling as a related service for Student, thereby prohibiting Mother from adequately participating in Student’s educational decision-making process? Student seeks reimbursement for Student’s placement at Tranquility Bay, a residential treatment facility in Jamaica, and at Willow Creek, a residential treatment facility in Utah. Student also seeks reimbursement for Student’s interim placement at Teen Safe, a facility in Utah. Student also seeks reimbursement for travel and related costs associated with these placements, and with Student’s placement at Provo Canyon, which is also a residential treatment facility in Utah. On June 5, 2007, District filed a Motion to Dismiss Issues Due to Statute of Limitations, requesting dismissal of all issues raised by Student that involve claims prior to March 8, 2005. District contended that these claims fell outside the two-year statute of limitations specified in Education Code section 56505, subdivision (l). On June 8, 2007, Student filed a response to that motion, contending that an exception to the statute of limitations is applicable because District withheld information from Mother. On June 11, 2007, OAH issued an order granting District’s Motion to Dismiss as to Student’s claims that District failed to properly determine that Student was eligible for special education services under the criteria of ED prior to March 8, 2005. OAH ordered that the question of whether District withheld information from Mother regarding the availability of related services would be determined at the due process hearing or other evidentiary hearing. On June 15, 2007, at 4:22 p.m., District filed by facsimile a Motion to Bifurcate the matter in order for the ALJ to adjudicate District’s June 5, 2007, Motion to Dismiss all claims arising prior to March 8, 2005. On June 19, 2007, the first day of the due process hearing, that motion was denied, and the ALJ ordered that the statute of limitations issue that was the subject of the Motion to Dismiss would be decided in this Decision. On June 20, 2007, the second day of hearing in this case, Student and Mental Health reached a settlement and Student moved to dismiss Mental Health as a party with prejudice. That motion was granted. Student filed his complaint in this matter on March 8, 2007. Student’s complaint includes claims dating back to August 2000. As discussed above, District raised an affirmative defense that the claims prior to March 8, 2005, are barred by the statute of limitations. Student contends that the exception to the statute of limitations is applicable to the claims arising prior to March 8, 2005, because District was required to provide to Mother information regarding the availability of psychological counseling as a related service that could be included in Student’s IEP, and District withheld this information. Student claims that instead of informing Mother regarding the availability of psychological counseling, District provided school counseling to Student “outside his IEP.” In support of Student’s claim that District withheld information, Mother testified credibly that prior to March 2005 she was never advised by anyone from the District that Student may be entitled to psychological counseling services through his IEP. It is undisputed that in March 2005, prior to Student’s March 10, 2005, IEP meeting, school psychologist Rhea Brandon advised Mother about the availability of mental health services, and that Student’s IEP team members discussed Student’s mental health at that meeting and agreed to refer Student to Mental Health. Thus, Mother was advised regarding the availability of mental health services as part of Student’s IEP prior to Student’s March 10, 2005, IEP team meeting and also during the March 10, 2005, IEP team meeting. In addition, it is undisputed that Student had been identified as a student with a disability in August 2000, Student had an IEP since that time, and District provided Mother with a copy of procedural safeguards at IEP meetings. Therefore, Mother knew or had reason to know of the facts underlying the basis for her request on the date that Ms. Brandon advised Mother regarding the availability those services, which was approximately March 9, 2005, and Mother did not file the due process request until March 8, 2007. Moreover, Mother began working with CASE on Student’s behalf in October 2005, and requested a copy of Student’s records from District that same month. Mother could have filed a due process request at that time, and would have preserved claims dating back to October 2002. The law requires a district to consider only those programs and services that are appropriate in meeting the unique needs of the student, and to make a formal written offer in the IEP that clearly identifies the proposed program. It is clear that Student’s claim is that District failed to offer mental health services prior to March 2005. Student may not bring himself within the exception to the statute of limitations and revive these stale claims by claiming District failed to provide notice regarding the availability of mental health services. Mother had adequate notice given the facts that she received notice of procedural safeguards over the years and she had counsel beginning in October 2005. Based on the foregoing, Student’s claims predating March 9, 2005, are barred by the statute of limitations. 1. Student is an 18-year-old7 male who resides with Mother and sister within the jurisdictional boundaries of District. Student began attending school within District in kindergarten. Student was initially assessed for special education purposes by District in May 2000 while in fifth grade. Student qualified for special education and related services under the eligibility category of specific learning disability (SLD) based on a severe discrepancy between his verbal and nonverbal skills. 2. Student attended Harvest Park Middle School (Harvest Park) in the sixth grade (2000-2001 school year), seventh grade (2001-2002 school year), and eighth grade (2002-2003 school year). During his three years at Harvest Park, Student was provided a combination of general education classes and resource specialist program services. Student also received school guidance counseling from school counselor Beth Christiansen. The counseling provided by Ms. Christiansen was not therapeutic psychological counseling and was not included in Student’s IEP. Student was a good student in middle school and achieved average grades. 3. Student attended Amador Valley High School (Amador) in the ninth grade (2003-2004 school year) and tenth grade (2004-2005 school year). School counselor Rhea Brandon provided school counseling services to Student beginning in March or April of Student’s ninth grade year and in Student’s tenth grade year. This counseling was not therapeutic psychological counseling and was not included in Student’s IEP. 4. Student contends that District failed to assess him in the area of social/emotional needs from March 8, 2005, through January 17, 2007. Because Student’s placement changed several times during this period of time, it is necessary analyze each time period separately in order to determine whether District was Student’s responsible local educational agency or whether District had an obligation to assess Student during each of those time periods. 5. 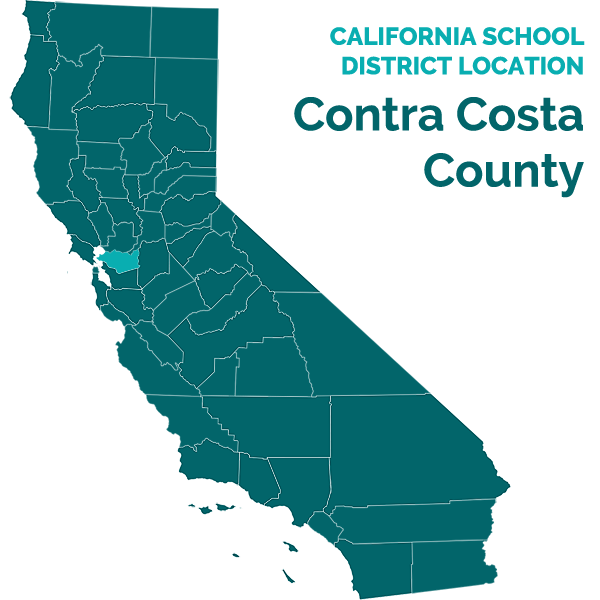 From March 8, 2005, through May 15, 2005, Student lived within the jurisdictional boundaries of District and attended Amador. District was the responsible local educational agency during this time period. 6. In general, a district is required to assess a student in all areas related to a suspected disability. After the initial assessment, a special education student must be reassessed every three years, or more frequently if conditions warrant. Whether District should have conducted an assessment turns on what District knew or reasonably should have known at the time. 7. If a district suspects that a student needs mental health services, the district may refer the student to a community mental health service in accordance with Government Code Section 7576. Education Code section 56331 requires a district to follow the procedures set forth in Education Code section 56320 and conduct an assessment prior to referring a pupil to a county mental health agency for services. As part of this assessment, a district is required to assess in all areas of suspected disability. 8. Ms. Brandon, Mr. Greg Giglio (Amador vice principal), and Mr. Paul Bretz (Student’s resource teacher and case manager) were all members of Student’s IEP team during all IEP meetings during the 2004-2005 school year, and they were all aware that Student began having serious difficulties in the fall tenth grade. For example, when Student returned to school in the fall of 2004, he seemed to be a different child. His overall appearance had changed, he was thinner and not well groomed, and he hung out with a “deviant peer group.” He used drugs and alcohol, and he was becoming defiant. For the first quarter of tenth grade, Student’s grades were two Fs, one D, and two Cs, and he received a number of disciplinary referrals. Mother requested an IEP team meeting in January 2005 to place Student on independent study in an attempt to salvage Student’s academic year. This placement was made during a January 27, 2005, IEP team meeting. 9. District witnesses believed that Student’s behavior from the beginning of tenth grade until March 2005 was due to social maladjustment. Ms. Brandon believed that Student’s behavior was goal-oriented and fit socially maladjusted behavior patterns. Ms. Brandon did not believe that Student’s behavior in the fall of 2004 had an emotional underpinning. 10. Student was placed on District’s independent study program on January 27, 2005. Ms. Brandon, Mr. Giglio, and Mr. Bretz were all aware at the time that Student began displaying bizarre behavior and was unsuccessful while in independent study. The District contact log indicates that Mother reported that independent study was not working, that Student was not doing assignments, that Mother was working with Kaiser, and that Mother wanted Student to return to school. Ms. Brandon, Mr. Bretz, and Mr. Giglio all received calls from Mother about Student’s behavior while on independent study. Mother told Ms. Brandon and Mr. Giglio that she was afraid of Student at home. Mother told Mr. Giglio that Student acted bizarrelyat home. Mother’s descriptions of Student’s behavior prompted Ms. Brandon and Mr. Giglio to advise her to call “911” or police and have him psychiatrically committed. Mother was struggling to manage him. 11. Ms. Brandon had a conversation with Mother just prior to the March 10, 2005, IEP meeting, and told her about the availability of mental health services for Student. Mother wanted those services. Ms. Brandon had not seen Student since the January 27, 2005, IEP meeting. However, Mother informed District that she was concerned about Student’s mental stability, that Student was becoming intimidating, and that his behavior was darker and meaner. Although Ms. Brandon had not seen that behavior, she felt that it was necessary to support Mother’s request for mental health services. Ms. Brandon began preparing the referral on March 9, 2005. Ms. Brandon requested a letter from Mother and from Student’s therapist at Kaiser, Herb Klar, to support the referral to Mental Health. Ms. Brandon and Mr. Giglio prepared a behavior plan, dated March 9, 2005, to deal with Student’s behavior. 12. An IEP team meeting convened on March 10, 2005, upon Student’s return to Amador from independent study. Ms. Brandon noticed a change in Student’s mental health after his return to Amador. Student was different and there was a marked change in his in personality. He no longer challenged teachers and engaged in intellectual conversation as he had previously done. He was much more vulnerable and admitted dissatisfaction and unhappiness, and Ms. Brandon, Mr. Giglio, and Mr. Bretz all observed at that meeting that he was unhappy. 14. During the May 5, 2005, IEP meeting, it was clear to District staff present that Student was having serious emotional problems. Student had moved to his father’s home sometime after the March 10, 2005, IEP meeting. Student seemed depressed, deflated, unhappy, confused, distant, cold, and angry, and he seemed to have lost touch with reality at times. Student was mostly quiet and withdrawn at that meeting. He was still getting poor grades and cutting school. He was not confident in himself or his character, and he was negative about the future. He was not interested in conversation. He was still using drugs and alcohol. Mr. Bretz observed that Student was a “completely different child.” Student did not want to talk a lot. Student had “given up.” District personnel present at the meeting talked about how they sensed a sort of darkness over Student. During the May 5, 2005, IEP meeting, Mr. Bretz made a comment that Student “might not live to a long age”. Mr. Bretz expressed concern to the IEP team at that meeting regarding Student hurting or killing himself. Mr. Bretz’s concern in May was that drug abuse would cause him to do something that would lead to harm. However, Mr. Bretz had no “hard evidence” of drug use by Student, but he suspected it. 15. The IEP signed May 5, 2005, contained no offer for mental health related services. A handwritten note at the bottom of the IEP states that “The IEP team will meet @ a later time when a decision about the 3632 referral is submitted & [Student] is in attendance.” The plan developed at the May 5, 2005, IEP team meeting was to have Mental Health assess Student’s needs and determine the best placement. In the IEP, it was written that the team would meet again after receiving Mental Health’s recommendation. 16. District’s referral to Mental Health establishes that District knew of Student’s mental health problems. The referral to Mental Health was sent on May 6, 2005. That referral, prepared by Ms. Brandon, states that “[Student] demonstrates significant oppositional-defiant behaviors observed by his mother (guardian) as well as school personnel. [Student] exhibits significant truancies/tardies at school & has ‘run away’ from his mother or defied her boundaries on several occasions.” The referral indicates that Student was living with his father at the time due to Student’s defiant behaviors toward his mother, and that he is currently diagnosed with “Depression—NOS” and “ODD.” The referral further indicates that school counseling was provided on a weekly basis from March 2004 through June 2004, and in September and October 2004. From October 2004 through the date of the referral, counseling was provided on an “as needed” basis. Goals of counseling were related to increasing self-esteem, addressing issues of depression, and increasing academic performance. “Counseling appeared to benefit [Student] in 9th grade; however, during this current year 10th grade (’04-’05), [Student] has been extremely defiant & oppositional to any interventions. He doesn’t feel that school is worth his time or effort.” The referral states that Student “has reported some concern as to his mental health/thoughts & to whether or not his through process is ‘normal.’” The referral states that counseling is “not effective” due to limited frequency. . ..” The referral also states that Student was drinking and using various illegal and prescription drugs, and that Student had significant absences and truancies, that his grade point average in the first term of the tenth grade was 1.38 with three grades of F, two grades of D, and one passing grade, and that he was then failing math and history. Finally, the referral indicates that Student believed he was smarter than his teachers, and often challenged teachers’ intelligence or their positions. Ms. Brandon attached to the referral the letter from Kaiser dated April 21, 2005, and a letter from Mother dated April 2, 2005. 19. Based on the foregoing evidence of what District knew regarding Student’s condition between March 10, 2005, and May 15, 2005, social/emotional needs were an area of suspected disability for Student, conditions warranted assessment, and District was required to assess Student. District failed to assess Student in the area of social/emotional needs during this time period, and Mental Health did not receive District’s referral for Student until May 11, 2005. Student was suspended from school on May 12, 2005, and was incarcerated Student was incarcerated on May 15, 2005. 20. District’s failure to assess constitutes a procedural violation under the IDEA. For time periods prior to July 1, 2005, a procedural violation constituted a denial of FAPE only if the violation resulted in a loss of educational opportunity for the child or significantly impeded the parent’s right to participate in the IEP process. Effective July 1, 2005, reflecting the 2004 amendments to the IDEA, a procedural violation constitutes a denial of FAPE only if the violation: (1) impeded the child’s right to a FAPE; (2) significantly impeded the parents’ opportunity to participate in the decision-making process regarding providing a FAPE; or (3) caused a deprivation of educational benefits. 21. District’s failure to assess denied FAPE under both standards. The denial resulted in a loss of educational opportunity for Student and impeded Student’s right to FAPE because from March 10, 2005, through May 15, 2005, because Student failing in school, was mostly absent from school, and was obviously depressed and having difficulty controlling his thoughts. These problems were related to his disability. Because no assessment was conducted, his needs were not determined and he was receiving no mental health services to address his unique social/emotional needs. Student received no educational benefit during this time period and his right to FAPE was impeded as a result of District’s failure to assess. 22. The responsibility for providing the FAPE to children placed in a juvenile hall lies with the local county board of education—ACOE in this case. 23. As discussed previously, on May 15, 2005, Student hit his father in the head with a hammer several times and was incarcerated in juvenile hall on that day. Therefore, on May 15, 2005, when Student was incarcerated in juvenile hall, the county office of education became responsible for providing his education. Student was adjudged a ward of the court pursuant to Welfare and Institutions Code section 602 during his July 15, 2005, disposition hearing. The court ordered that he be removed from Mother’s custody and committed to the care, custody, and control of the probation department for placement. 24. District had no obligation to assess from May 15, 2005, through July 22, 2005, because the ACOE was the responsible local educational agency. 25. District had no obligation to assess Student during this time period because he was unilaterally placed by Mother. Mother testified credibly that she retained counsel and learned that if she found a placement for Student, the court might not place Student in a foster home, a group home, juvenile hall, or the California Youth Authority. Mother did not want Student committed to any of those alternatives contemplated by the juvenile court. Student entered a plea bargain during his Student’s July 15, 2005, disposition hearing in juvenile court. Pursuant to that plea bargain, Mother was given the discretion to place Student at Tranquility Bay in Jamaica on July 22, 2005, and Student remained at Tranquility Bay until November 24, 2005. 26. Thomas Graves, supervisor of the placement unit within the Alameda County Probation Department and supervisor of the probation officer who handled Student’s case, testified credibly that the juvenile court was ultimately in charge of Student’s placement because Student had been adjudged a ward, his custody had been removed from Mother, and he was under the care, custody, and control of the probation department for placement. However, as a result of the plea bargain, the court authorized Mother to place Student in a program for treatment, at her own discretion; hence, the placement was made by the parent, who retained Student’s educational and health rights. The placement was suggested to the juvenile court by the parent, and the court approved it, and neither the court nor the probation department contracted with Tranquility Bay for Student’s placement. Mother placed Student at Tranquility Bay in order to avoid having the court place him in one of the other alternatives. 27. Mother testified credibly that she did not inform District regarding Student’s placement at Tranquility Bay until she requested assessment from District in January 2006. District was not present at the July 15, 2005, disposition hearing, and had no notice of the hearing. Student remained a ward of the court the entire time he was placed at Tranquility Bay. 28. The placement at Tranquility Bay was a unilateral placement by Mother, and District had no knowledge of the placement. District had no obligation to assess Student when he was placed in Tranquility Bay unless Mother requested assessment, which she did not. 29. During this time period, Student remained in a unilateral placement, and Mother had not requested assessment. Therefore, District had no obligation to assess Student during this time period, as follows. In November 2005, Mother removed Student from Tranquility Bay because that placement was not appropriate for him, and she placed Student in Willow Creek School in Utah. Student remained in that placement until January 2007. Mother notified District by letter of January 5, 2006, of her request that District assess Student. District received that letter on January 10, 2006. Mother did not notify District of Student’s placement at Willow Creek and District had no knowledge of that placement until January 10, 2006, when District received Mother’s request for assessment. 30. Thus, District had no obligation to assess Student from the time that he was placed in Willow Creek in Utah in November 2005 until District received Mother’s request for assessment on January 10, 2006. 31. On January 5, 2006, Mother requested by letter that District assess Student, and District received that letter on January 10, 2006. That letter triggered an assessment obligation on District’s part. District commenced the assessment process in January 2006, and Dr. Ed Arndt, Ph.D., who is employed by District, assessed Student on behalf of District on October 24, 2006. Although Student has raised a claim with regard to the timeliness of District’s assessment of Student, District completed an assessment of Student, including assessment in the area of social/emotional needs. Therefore, while the assessment conducted by District may not have been timely, District did not fail to assess Student during this time period. Student’s claim regarding the timeliness of assessment is addressed in Issue 2. 32. A district may refer a student to a community mental health services and is required to “immediately” refer a student to the county mental health department for evaluation if it suspects that the student is in need of mental health services. Applicable California regulations require a district to make the referral within five days of receiving consent from the parent. 33. As discussed in Factual Findings 11 through 13, Ms. Brandon began preparing Student’s referral to Mental Health on March 9, 2005, in preparation for Student’s March 10, 2005, IEP meeting. During the March 10, 2005, IEP meeting, the IEP team decided that Student would be referred to Mental Health. Mother signed the consent on that day. Ms. Brandon sent the referral package to District on May 6, 2005, and thereafter District sent the referral package to Mental Health. Mental Health received the referral package on May 11, 2005. This referral was not made within five days of the date Mother consented to the referral and, therefore, the referral was not timely. 34. Ms. Brandon testified the referral was not timely because she believed that referral would be rejected without more information regarding Student’s emotional problems because Mental Health does not accept referrals for, and does not treat, social maladjustment. Student’s last social/emotional assessment was five years old at that time, and Ms. Brandon wanted to gather more information about his current emotional condition. Therefore, Ms. Brandon asked Mother to write a letter regarding Student, and to obtain from Kaiser a letter regarding Student. The letter from Kaiser was not written until April 21, 2005. 35. This reasoning supporting the delay is not persuasive. Ms. Brandon could have assessed Student on March 9, 2005, which was the day she began preparing the referral package. As discussed above, Education Code section 56331 requires a district to assess a student prior to making a referral to Mental Health. Student’s last social/emotional assessment was five years old, and had been conducted when he was in the fifth grade. Had Ms. Brandon conducted an assessment anytime between March 10, 2005, when Mother signed the consent for the referral to Mental Health, and March 15, 2005, when the referral should have been filed with Mental Health, the referral would have been timely. However, District conducted no social/emotional assessment of Student during this time and, instead, waited for letters from Mother and Student’s counselor while the timeline passed. 36. District’s failure to make a timely referral to Mental Health was a procedural violation. The referral should have been made by March 15, 2005, but it was not sent to Mental Health under after May 6, 2005, and not received by Mental Health until May 11, 2005. This referral was almost two months beyond the statutory timeline. During this time period, Student was failing, was not attending school, was depressed, and was displaying obvious signs of mental illness, and these problems were related to his disability. Hence, District’s delay impeded Student’s right to a FAPE and resulted in a loss of educational opportunity. 38. If the referral to Mental Health is made pursuant to subdivision (b) of Government Code Section 7576, based on results of assessments completed pursuant to Education Code section 56320, District is required to include in the referral package to Mental Health a description of the counseling, psychological, and guidance services, and other interventions, that have been provided to the student, as provided in the IEP of the student, including the initiation, duration, and frequency of these services, or an explanation of the reasons a service was considered for the student and determined to be inadequate or inappropriate to meet his or her educational needs. 39. If the referral to Mental Health is made pursuant to subdivision (d) of Government Code section 7576, based on “preliminary results of assessments performed” pursuant to Section 56320, the district is required to include in the referral package documentation that appropriate related educational and designated instruction and services have been provided. Also required is an explanation as to the reasons that counseling and guidance services, psychological services, parent counseling and training, social work services, and behavioral or other interventions as provided in the IEP of the student are clearly inadequate or inappropriate in meeting his or her educational needs. 40. District’s referral to Mental Health did not include adequate information pursuant to Government Code section 7576, subdivision (b) or (d). Student had not been provided psychological services and, therefore, the referral form did not contain that information. In addition, the referral form did not contain a statement that psychological counseling services were considered for Student and determined to be inadequate or appropriate to meet his educational needs, or a statement that psychological services “are clearly inadequate or inappropriate in meeting [Student’s] educational needs.” Also, the referral included no assessment, despite the requirements Government Code section 7576. 41. Because the statutorily required information was not included, Mental Health did not accept the referral. Instead, Mental Health requested more information. Ms. Brandon responded to the request for more information by stating that District does not provide psychological counseling services as a related service. Mental Health then accepted the referral. 42. Based on the foregoing, District failed to include required information in the referral to Mental Health. District’s failure to include this information was a procedural violation. However, Student was suspended from school on May 12, 2005, for smoking, and was incarcerated in juvenile hall on May 15, 2005, for hitting his father with a hammer. Mother did not sign and return the assessment plans that Mental Health sent to her on June 23, 2005, or on July 26, 2005. Accordingly, Student would not have been available to receive mental health services from District as of May 15, 2005. Therefore, this procedural violation did not result in a loss of educational opportunity, did not impede Student’s right to a FAPE, and did not significantly impede Mother’s opportunity to participate in the IEP process. 43. Student claims that District failed to conduct a social/emotional assessment of Student within statutory timelines following Mother’s January 6, 2006, request for a simultaneous assessment by District and Mental Health. Student argues that District failed to respond to the assessment request within statutory timelines, failed to make a timely AB 3632 referral, failed to complete the assessment within statutory timelines, and failed to convene an IEP team meeting within statutory timelines. 44. According to state law, all written requests for assessment from parents shall initiate the assessment process. If an assessment for the development or revision of the IEP is to be conducted, the parent shall be given an assessment plan within 15 days of the referral for assessment and the district must complete the assessment and hold an IEP team meeting to consider the results of the assessment within 60 days of the day the parents consent to the assessment plan. 45. The evidence is undisputed that Mother’s assessment request was dated January 5, 2006, and District received the assessment request on January 10, 2006. Mr. Rezowalli called Mother on January 24, 2006, to schedule a meeting to discuss the assessment request. Mr. Rezowalli, Ms. Brandon, and Mother met on January 31, 2006, and the assessment plan was presented to Mother on that day. 46. The assessment plan was given to Mother over a week late, which was not within statutory timelines and amounts to a procedural violation of the IDEA. However, this minimal delay did not impede Student’s right to a FAPE, did not significantly impede Mother’s opportunity to participate in the decision-making process regarding the provision of a FAPE, and did not deprive Student of educational benefits. 47. Mother sent her assessment request to District on January 5, 2006, and District received the request on January 10, 2006. The request was for a concurrent psycho-educational assessment and AB 3632 evaluation to establish Student’s eligibility under ED. Mother signed the form granting her consent to the assessment by Mental Health during the January 31, 2006, meeting with Mr. Rezowalli and Ms. Brandon. However, Mr. Rezowalli did not contact Mental Health until August 2006. When Mental Health received the referral, it reissued the assessment plan from June 2005 and sent it to Mr. Rezowalli on August 31, 2006. On September 1, 2006, Mr. Rezowalli wrote to Mother and included the Mental Health assessment plan in the letter. Mother signed that assessment plan on September 7, 2007, and it was received by Mental Health on September 11, 2007. 48. Between January 10, 2006, and August 2006, District not only suspected that Student was in need of mental health services, but also had actual knowledge of that fact, as previously discussed in Factual Findings 5 through 19. District was aware of Student’s mental health problems in March, April, and May 2005, and had referred Student to Mental Health on May 6, 2005. Dr. Arndt, who assessed Student in October 2006 and reviewed his records, testified credibly that it was appropriate to refer Student to Mental Health in the spring of 2005. Ms. Brandon became aware of Student’s incarceration for a violent act in May 2005, which is established by the fact that she wrote a letter on behalf of Student on May 25, 2005, in an effort to ensure that he did not receive the maximum punishment. Mother’s letter of January 5, 2006, informed Mr. Rezowalli that Student’s mental health problems continued, and that Student was in a residential placement. 49. District was unaware that Student was a ward of the court during this time period. However, as discussed in Factual Findings 25 and 26, Mother retained Student’s educational rights and had been granted discretion to find a placement for him. The fact that Student was a ward of the court under these circumstances did not relieve District of its obligation to make the referral to Mental Health once Mother requested assessment. District was Student’s district of residence, and Mother’s letter of January 5, 2006, put District on notice that Mother was seeking assessment and services from District. 50. Based on the foregoing, District’s referral of Student to Mental Health eight months after receiving the request was not within statutory timelines, and was not timely and amounted to a procedural violation. This procedural violation impeded Student’s right to a FAPE because Mother was required to pay for Student’s placement as a result of the delay. Therefore, District’s failure to make a timely referral to Mental Health amounted to a denial of FAPE. 51. Mother signed the consent for the assessment on January 31, 2006, and the assessment was completed by District on October 24, 2006. 52. As discussed above, District is required to complete the assessment and hold an IEP meeting within 60 days of the date the parent consents to assessment, unless the parent signs a waiver of that 60-day timeline. A parent is required to make the student available for assessment. However, there is no provision in California law or in the IDEA that provides a district with absolute relief in all circumstances from any obligation to travel to Student’s location or to make arrangements to transport Student back to the district for assessment. 53. District claims that it was not required to comply with the statutory timelines for assessment because Mother failed to make Student available for assessment in Pleasanton and because Mother “impliedly” waived the timeline because she informed District that Willow Creek was assessing Student. District’s claims on both counts are unpersuasive. 54. Mother was very clear with District that Student could not be brought home for assessment. Mother’s January 5, 2006, letter to District requesting assessment of Student states that “the staff at Willow Creek advises that [Student’s] mental health state is such that he cannot be brought home for assessment without placing him and his family in jeopardy. Therefore, I am asking you to coordinate both the District and AB 3632 assessments so that they can be accomplished at Willow Creek.” In addition, on January 31, 2006, Mother, Mr. Rezowalli, and Ms Brandon met regarding Mother’s request that Student be assessed, and the three of them discussed what had been going on with Student, and the fact that Mother believed that Student could not be brought home for assessment. District did not contact Willow Creek to attempt to verify this claim until September 2005. When Ms. Rezowalli finally did contact Willow Creek regarding Mother’s claim that Student could not be returned home for assessment, Student’s therapist, Jennifer Wilde, verified the claim, and District arranged to have Student transported to Oakland, assessed, and returned to Willow Creek the same day. 55. In late June or July 2006, Mr. Rezowalli learned that Student returned to Pleasanton for a visit in June 2006. In June 2007, Mr. Rezowalli learned that Student had also returned home for visits in April and May of 2006. It was Mr. Rezowalli’s opinion that Student could come home, and he had several times, and Mr. Rezowalli had been hoping that Student could be brought home. However, District was aware that the previous spring Mother was fearful of Student, and that in May 2005 Student hit his father in the head with a hammer, seriously injured him. District was aware, based on the assessment reports prepared by Mr. Neril and Dr. Pollack, the doctors who treated Student during his psychiatric hospitalizations in May 2005, that Student had a psychotic break and decompensated while in juvenile hall. The reports indicate that he was suicidal, heard voices, and thought half of his face was caving in. Mother delivered these documents to District in February 2006, although District lost them. Mother again provided the assessment reports to District, and Mr. Rezowalli received these assessment reports in June 2006. Consistent with these reports, Mother testified credibly that she believed that Student was a ticking time bomb and had problems with school and authority figures, and that she was following Student’s therapist’s advice at Willow Creek by not allowing him to be assessed by District when he was visiting her. 57. According to Mr. Rezowalli, he did not send Ms. Brandon to Utah to assess Student because Mother said there would be a full evaluation and they would wait until they got the assessment from Willow Creek. Mr. Rezowalli thought that, by implication, Mother waived the 60-day time period. According to Mr. Rezowalli, they had signed the assessment plan knowing more information was on the way, and Mother’s signature at the bottom represents her agreement. 58. This testimony is not persuasive. There was no evidence or testimony that Mr. Rezowalli ever asked to see the assessment plan from Willow Creek. The Willow Creek assessment plan was signed on January 30, 2006, the day before Mr. Rezowalli’s meeting with Mother, and that assessment plan does not include assessment in the area of social emotional. Mr. Rezowalli was aware that Mother was requesting assessment by District in the area of social emotional. Had he contacted Willow Creek and inquired about the assessment plan, or had he asked Mother for a copy of the assessment plan, he would have known on January 31, 2006, that Willow Creek was never going to provide the assessment information District required. 59. In addition, Ms. Brandon established in her testimony that Mr. Rezowalli never asked her to call Willow Creek about assessment results. 60. Mr. Rezowalli waited for the assessment to arrive from Willow Creek, but it did not. Mother wrote a letter to Willow Creek on March 20, 2006, authorizing Willow Creek to talk to District. This letter was written to encourage the exchange of information. Information “trickled in” from Willow Creek. On April 27, 2006, Mr. Rezowalli received the first written data from Willow Creek, but what he thought would be an assessment was actually a Woodcock-Johnson cognitive battery and achievement battery. These batteries did not satisfy District’s assessment requirements because they did not assess in the area of social/emotional. 61. Sometime after District received the Woodcock-Johnson scores, Ms. Brandon and Mother had a discussion about the assessments from Alta-Bates from May 2005, and in May or June of 2006, Ms. Brandon gave Mr. Rezowalli information from Alta-Bates, including the assessments prepared by Dr. Neril and Dr. Pollack. However, these reports were the result of a 5150 psychiatric commitment, and did not give an idea as to current information. These assessments were also not a baseline because it was a traumatic time for Student and he was in crisis mode. This data would not be valid six months to a year later. 62. Mr. Rezowalli told Mr. Foreman that he needed more information. On July 24, 2006, Mr. Foreman emailed to Mr. Rezowalli information from Willow Creek including progress reports and grades. This information did not satisfy District’s requirements because it did not include social/emotional information. In mid to late August, Mr. Rezowalli received a status report or “something of a psychological evaluation” from Willow Creek. It was a treatment plan. This treatment plan was not enough information for District. It contains a history, information about strengths and weaknesses, and short-term objectives, but no evaluation section. Mr. Rezowalli never received a social/emotional evaluation from Willow Creek, Mr. Foreman, or Mother. 63. Mr. Rezowalli wrote to Mother on September 1, 2006, and said the information was insufficient. Mr. Rezowalli also first contacted Mental Health in August 2006. Mental Health faxed an assessment plan to him on August 31, 2006, and Mr. Rezowalli included that in his letter to Mother. The Mental Health assessment plan, dated August 31, 2006, was signed by Mother on September 7, 2006, and received by Mental Health on September 11, 2007. After September 11, 2006, Mr. Rezowalli knew the assessment plan had been returned. Even on that timeline, the IEP should have been held by November 11, 2006. 64. It is standard procedure to ask the parent to sign an extension if District is going to be late for an assessment, and California law requires that a waiver be in writing. Mr. Rezowalli did not present a 60-day waiver for Mother to sign before the expiration of the 60 days. If she had signed a waiver, Mr. Rezowalli would have been entitled to that extra time to complete the assessment. 65. Mr. Rezowalli spoke with Ms. Wilde, Student’s therapist, and decided to fly Student back to Oakland for assessment. Mr. Rezowalli spoke with Mr. Foreman, who told Mr. Rezowalli that Student could have no contact with Mother when he is flown home, that the therapist at Willow Creek had suggested that, and that it would be detrimental for all involved if the family had contact with Student. Mr. Foreman and Mr. Rezowalli reached an agreement as to how it would be done. Mr. Rezowalli worked with Willow Creek and Mental Health and made arrangements and covered the cost. On October 24, 2006, Willow Creek took Student to the airport and Mental Health met him at the airport in Oakland. Dr. Arndt evaluated Student for District and Mental Health conducted its own assessment. Student was sent back to Utah the same day. 66. Mother had no contact with Student during that trip because neither she nor Student’s therapist would agree that Mother should see him because of the “volatile situation.” District asked Mother if she could provide transportation, and she said that she could not pick up Student because she was afraid of him. 67. Mr. Rezowalli conceded that he guesses that he could have done in the spring what he did in the fall of 2006, and within the 60-day time period. In hindsight, according to Mr. Rezowalli, it probably would have been prudent to contact Willow Creek well within the timelines. Eventually, Mr. Rezowalli determined that the only way to get Student assessed was to bring him home. 68. Mother did not “impliedly waive” the 60-day timeline by telling Mr. Rezowalli and Ms. Brandon that Willow Creek was assessing Student. Mr. Rezowalli could have obtained a copy of that assessment plan from Mother or from Willow Creek, and would have seen that it did not include assessment in the area of social/emotional. In addition, Mother did not waive the timeline by not making Student available for assessment in Pleasanton, given the circumstances described above. 69. The delay of over seven months in completing the assessment amounts to a procedural violation of the IDEA. This delay impeded Student’s right to a FAPE and did deprived Student of educational benefits because Mother was required to pay for Student’s educational placement during the delay. 70. Mother consented to the assessment plan on January 31, 2006, and Dr. Arndt completed the District’s assessment on October 24, 2006. The first part of the IEP meeting was held December 20, 2006, and the second part on January 16, 2007. During the first meeting, Student’s eligibility under ED was determined. Mother thought Willow Creek would be an appropriate placement, and Mental Health took over after the December 20, 2006, meeting to determine what might be an appropriate placement. Approximately two days after the second meeting, Willow Creek told District that Student’s placement there was not working. Student was moved to a temporary placement at Teen Safe, and then to Provo Canyon School, which Mental Health thought was appropriate. On February 20, 2006, District offered residential placement, with services retroactive to January 8, 2007. Mother consented to and signed this IEP. 71. Based on the foregoing discussion, Student’s IEP meeting was not held with 60 days from the date Mother signed the assessment plan. 72. The delay in convening an IEP meeting within statutory timelines amounts to a procedural violation of the IDEA. This delay impeded Student’s right to a FAPE because Mother was required to fund Student’s placement during that time. 74. Eligibility for special education services under the category of ED requires that the child exhibit one or more of the following characteristics over a long period of time, and to a marked degree, and that the child’s educational performance be adversely affected: An inability to learn which cannot be explained by intellectual, sensory, or health factors; an inability to build or maintain satisfactory interpersonal relationships with peers and teachers; inappropriate types of behaviors or feelings under normal circumstances exhibited in several situations; a general pervasive mood of unhappiness or depression; and a tendency to develop physical symptoms or fears associated with personal or school problems. 75. Social maladjustment alone is not sufficient to render a student eligible for special education as ED. 76. The law does not require that a student be labeled with a particular disability in order to receive special education services. A student is entitled to special education services so long as the child has a disability listed under the IDEA. If the child’s IEP is tailored to the unique needs of that particular child, then the label of the disability does not matter. 77. Student contends that District denied him FAPE by failing to find him eligible for special education and related services under the category of ED from March 8, 2005, through January 16, 2007, although, as discussed in Factual Finding 73, the time period at issue is from March 10, 2005, through May 15, 2005. Although Student had already been determined to be eligible under the category of SLD, Student contends that the importance of the ED determination is that Mental Health will not make a residential placement without an ED determination. Dr. Arndt confirmed this contention during his testimony. 78. While it is clear that Student required mental health services during this time period in order to access his education, no evidence establishes that Student met the criteria of ED from March 10, 2005, through May 15, 2005. Dr. Arndt assessed Student on October 24, 2006, which was approximately one and one-half years later. Dr. Arndt testified credibly that he could not make a determination that Student met the criteria prior to October 24, 2006, because Dr. Arndt did not see Student until that time. Dr. Arndt was unable to make a determination based on records alone as to whether Student met the criteria of ED in the past. Based on records, Dr. Arndt could say that Student had social/emotional issues dating back two years, and Dr. Arndt could also say that the fact that Student had emotional issues dating back two years supported his findings in October 2006 that Student met the eligibility criteria under ED because the records show that Student had emotional issues “over a long period of time.” However, Dr. Arndt could not make a determination regarding whether Student met the criteria of ED at any time prior to the time he assessed Student. 79. Ms. Jennifer Wilde9 testified credibly that Student met the diagnostic criteria of several disorders in the DSM. However, Ms. Wilde is not a licensed school psychologist in California, and she did not know Student from March 10, 2005, through May 15, 2005. She became his therapist in July 2006. Ms. Wilde could not testify credibly that Student met the criteria of ED, over a long period of time and to a marked degree, from March 10, 2005, through May 15, 2005, which is the relevant time period here. 80. Therefore, Student failed to meet his burden of proving that he would have qualified for special education and related services under the category of emotional disturbance from March 8, 2005, until May 15, 2005. 82. Thus, for purposes of this claim, the only the IEP meetings during which District had an obligation to offer FAPE to Student was March 15, 2005, and May 15, 2005. Special education is defined as specially designed instruction, at no cost to parents, to meet the unique needs of a child with a disability that are needed to assist the child to benefit from instruction. Related services include, among others, mental health counseling services as may be required to assist a child with a disability to benefit from special education. In order to provide a legally adequate FAPE, a district is required to provide supplementary, or related, services, including mental health services, necessary for the child to access his or her education and to meet his or her unique needs. A district is required to provide a program that is designed to meet the student’s needs and is reasonably calculated to provide the student with some educational benefit. The appropriateness of the program is measured at the time it was offered to the Student and not at some later date. Therefore, the adequacy of the district’s offer must be measured based on the information known on March 10, 2005, and on May 5, 2005, which were the offers made by District within the time period applicable to this issue. 83. While a district is authorized by California state law to refer a student to the county mental health department for evaluation if the district suspects that the student is in need of mental health services, nothing in the this law relieves a district of the requirement under the IDEA and corresponding state law of providing a FAPE to a student pending this referral to the county mental health department, even if the FAPE includes psychological counseling services. Regardless of whether a referral is made to Mental Health, Education Code section 56331 requires a district to provide any specially designed instruction required by an IEP, including related services such as counseling psychological counseling services. Districts are required to provide related services by qualified personnel unless the IEP team designates a more appropriate agency for the provision of services. 84. Because Student is a child with a disability and entitled to a FAPE, District was required to offer psychological counseling to Student as a related service on March 10, 2005, and on May 5, 2005, if Student had a unique need for psychological counseling to assist him to benefit from special education and related services. 85. To determine whether District offered Student a FAPE with respect to psychological counseling, the ALJ must determine if Student had a unique need for this service at the March 10, 2005, IEP team meeting and at the May 5, 2005, IEP team meeting. 87. In other words, District contends that because the IEP team agreed on March 10, 2005, to refer Student to Mental Health for mental health services, and because District referred Student to Mental Health on May 6, 2005, District met its obligation with respect to Student’s mental health needs. While Student had an “open door” to see Ms. Brandon for counseling, the counseling Ms. Brandon provided was not psychological counseling, and this fact is undisputed. District does not contend that Mr. Brandon’s counseling of Student fulfilled this obligation. 88. Ms. Brandon’s testimony that Student did not have a unique need for psychological counseling prior to April/May 2005 is not persuasive for several reasons. First, it was determined at the March 10, 2005, IEP team meeting a referral to Mental Health would be made. The plan at the May 5, 2005, IEP team meeting was to have Mental Health assess Student’s needs and determine the best placement. In the May 5, 2005, IEP, it was written that the team would meet again after receiving Mental Health’s recommendation. That meeting never occurred because Student was removed from school after the May 15, 2005, incident with his father. 89. Although Ms. Brandon testified that she was honoring Mother’s request by making the referral, according to applicable law, a referral may not be made unless the student has emotional or behavioral characteristics that are observed by qualified educational staff in educational and other settings, as appropriate, that impede the student from benefiting from educational services, that are significant as indicated by their rate of occurrence and intensity, and that are associated with a condition that cannot be described solely as a social maladjustment or temporary adjustment problem, and cannot be resolved with short-term counseling. Thus, the fact that the IEP team made the referral established that Student had a unique need in the area of social/emotional needs. 90. In addition, as discussed in Factual Findings 16 through 18, Ms. Brandon wrote two letters in support of that referral and also a letter in support of Student in his juvenile court proceeding. All of these documents establish that Student had a unique need for psychological counseling in order to benefit from his education at the time of the March 10, 2005, and May 5, 2005, IEP meetings. 91. While District offered Student a referral to Mental Health, a referral was insufficient to meet a District’s obligation to offer a FAPE. The fact that a referral package is in the making is not a valid reason for a District to fail to provide psychological counseling services to a Student with a disability who is suffering from a mental illness that is so severe that he cannot access his education. In this case, to summarize, Student received many failing grades in that time period, cutting school was a significant problem, Student was diagnosed with depression by his psychiatrist at Kaiser who discussed Student’s psychiatric problems and their “deleterious affects on his school performance” and recommended that Student “be provided special services commensurate with the degree of his impairment,” and Student was withdrawn, manic, had feelings of hopelessness, was “a completely different child,” and “might not live to a long age.” Ms. Brandon felt that Student’s needs required a higher frequency of counseling services with a “deeper level of intensity, such as a therapeutic educational environment.” During this time, Student was unable to receive educational benefit as a result of his mental disability. District should have offered Student mental health services to address this unique need. 92. District failed at the March 10, 2005, and May 5, 2005, IEP team meetings to offer psychological counseling services as were required to meet Student’s unique needs and to assist Student to benefit from special education. The offers on March 10, 2005, and May 5, 2005, were, therefore, legally insufficient offers of FAPE. 93. As discussed above, Student’s claims prior to March 8, 2005, are barred by the statute of limitations. Therefore, Student’s claim that District failed to offer psychological counseling as a related service will cover only the time period beginning March 8, 2005, and ending January 17, 2007. Ms. Brandon informed Mother of the availability of psychological services during a discussion on or before March 9, 2005, and also at the IEP meeting on March 10, 2005. Moreover, a district is required to consider only those programs and services that are appropriate in meeting the unique needs of the student, and is required to make a formal written offer in the IEP that clearly identifies the proposed program. Thus, a district is required to offer services required for FAPE. Thus, Student’s claim that District failed to offer and provide psychological counseling services as a related service is addressed in Issue 4. District did not deny Student FAPE as claimed by Student. 94. Student claims that District denied him a FAPE by failing to provide special education services from January 27, 2005, through March 10, 2005, when Student was in independent study. Student returned to Amador from independent study on March 10, 2005, and his special education services resumed at that time. As discussed previously, claims prior to March 8, 2005, are barred by the statute of limitations. Thus, this claim involves District’s failure to provide services on only March 8 and 9, 2005. 95. A district is required to provide a FAPE to students in special education. Mother requested an IEP team meeting for Student in January 2005 to request that Student be placed on independent study because of the problems he was having at home and at school. During Student’s January 27, 2005, IEP team meeting, District staff felt that independent study was not appropriate for Student. Specifically, Mr. Bretz, Student’s case manager and math teacher, testified that Student could not perform math calculations alone. He needed to be prompted. Nevertheless, the IEP team agreed to place Student on independent study. The January 27, 2005, IEP offer states that no special education services would be provided while Student was on independent study, but that the services would resume if Student returned to Amador. Student returned from independent study on March 10, 2005, and the services he had previously received were reinstated on that day. 96. Mr. Rezowalli testified credibly that District provides special education services to students with IEPs who are in independent study. He does not understand why the IEP stated that Student would be provided no services while in independent study. Mr. Giglio testified credibly that no resource person was assigned to independent study at that time, so the special education services were not available to students on independent study, and that according to the rules of independent study that existed then, special education services were not offered for independent study. 97. District’s failure to provide special education services on March 8 and 9, 2005, was a denial of FAPE. However, because denial involved only two days, the denial was insignificant. 98. Student seeks reimbursement for his placement at Tranquility Bay, Willow Creek, and Teen Safe. He seeks reimbursement for travel and other costs related to these placements, and also for costs related to his placement at Provo Canyon. 99. On July 22, 2005, Mother placed Student in Tranquility Bay in Jamaica as a result of a plea bargain in which she was granted discretion to place Student. Mother chose this placement because it was the only residential treatment facility that would accept Student because of the nature the assault on his father. Mother wanted placement in a private facility because she did not want Student to be placed by the juvenile court. Student spent his first week or two at Tranquility Bay in the “punitive” area for “defiant kids” because he claimed he would hurt himself. Student was in detention and was required to lie on the concrete floor all day and received no academic instruction while on the concrete floor and no academic instruction at all when he was in the punitive area. Mother had to demand that he get “IEP treatment” at Tranquility Bay, and Tranquility Bay “eventually” implemented Student’s IEP. In addition, the therapy was not at all what Tranquility Bay had represented to Mother, and Student was not getting therapeutic help at Tranquility Bay. All of Student’s learning was “through computer” at Tranquility Bay. The program director at Tranquility Bay, in discussions with Student’s “team” at Tranquility Bay and Mother, determined that Student would benefit from a more intensive therapeutic environment, and suggested a facility that would offer more frequent therapy visits as well as a strong family therapy component. Tranquility Bay was not an appropriate placement for a child with Student’s illness and educational needs. In addition, Mother gave District no notice that she was considering a placement in Tranquility Bay, or that she placed Student there. She gave District no notice of any expenses associated with Tranquility Bay. 100. In November 2005, Mother removed Student from Tranquility Bay because that placement was not appropriate for Student, and she placed Student in Willow Creek School in Utah. Mother chose Willow Creek because that was the only facility that accepted Student. Willow Creek is a clinical boarding school and residential treatment center that provides intense therapeutic treatment, medical care, medication, food services, and education. It is fully accredited by the Northwest Association of Accredited Schools and meets that State of Utah curriculum requirements for high school graduation. Willow Creek is licensed under Utah’s licensure requirements and is certified as a nonpublic school by Utah. Willow Creek is not, however, certified by the State of California as a nonpublic school. Willow Creek offers therapy and other programs in the morning and early afternoon. Willow Creek’s academic program is from 3:15 to 8:30 p.m. and is taught by teachers who work for public schools during the day. All teachers are certified and highly qualified under the No Child Left Behind Act, and three of the teachers are special education certified. Ms. Debbie Burnside, the special education coordinator at Willow Creek, works with teachers to provide appropriate support in the classroom to students with IEPs. There are approximately 60 students in the school, and each class has eight to ten students, and the teachers assign grades to the students following state guidelines. Ms. Wilde, Student’s therapist, developed a treatment plan for Student, which included goals and objectives for his treatment. Over the course of treatment, Ms. Wilde saw improvement in Student. The general course of treatment went well, and his behaviors declined greatly and his mood improved. He made progress and was more willing and motivated. While at Willow Creek School, Student made academic progress, and the program and services were appropriate for him and met his unique needs. Student earned academic credits and received therapy while at Willow Creek. 101. Family visits were an essential part of treatment for Student at Willow Creek. Willow Creek provides family therapy via the telephone and live family sessions including family retreats. Mother participated with Student in these visits and retreats. The focus with Student was on improving his relationship with Mother, and offered them opportunities to see how they engaged in and resolved conflict and how they dealt with triggers in the environment. However, Mother gave District no notice of any visit with Student. 102. Student was at Willow Creek from November 24, 2005, through early January 2007. The cost of Willow Creek for Student was $4,500 per month. Sixty percent of that was for mental health services, 20 percent was for tuition, and 20 percent was for room and board. Student’s charges have been paid in full. Mother refinanced her home loan to obtain money to pay for Willow Creek. However, she used proceeds of the loan for other purposes as well. Student returned home from Willow Creek for visits with Mother in April, May, and June 2006. Mother gave District no notice of these visits. 103. As discussed previously, Mother sent a letter to District on January 5, 2006, requesting assessment of Student and eligibility as ED. The juvenile court in California held Student’s 12-month review hearing on May 23, 2006. The court continued Student a ward of the court and ordered that care, custody and control shall be under the supervision of the probation officer. However, the court also ordered that “Minor to reside in the home of mother. The mother at her own discretion may place the minor in program for treatment.” This order, like the previous one, does not terminate the parent’s rights regarding education. However, after that hearing, Student was free to reside with Mother, and Mother was free to place Student anywhere. Prior to the date of that hearing, Mother would not have considered any placement offered by District that did not involve residential treatment in a locked facility, or that was not approved by the court. Student resided at Willow Creek from November 2005 through early January 2007. 104. Student was required by Willow Creek to leave in January 2007 because he was having some behavioral problems. He was temporarily placed by Mother in Teen Safe on approximately January 5, 2007, pending transfer to Provo Canyon, which was the placement offered by District. That placement at Teen Safe cost Mother $800. 105. The IEP team convened for a meeting on December 20, 2006, and determined that Student was eligible for special education under the category of ED. Student’s IEP team met again on January 16, 2007, and offered Student placement at Provo Canyon in Utah, retroactive to January 8, 2007, which was the date on which Student was placed at that school. Mother was required to place $500 in Student’s account at Provo Canyon for incidentals, and District never reimbursed her for that. She traveled to Utah in February to assist Student in his change of placement to Provo Canyon. However, Student was already placed in Provo Canyon at that time, and had been there a month. Mother did not give District notice of this visit, and did not give notice of any other visit or trip to or from Utah. 106. Student remained at Provo Canyon at the commencement of the due process hearing, and was due to graduate from high school according to Utah requirements in June 2007. 23. If a student has been adjudged a ward of the court, he or she is within the jurisdiction of the juvenile court. (Welf. & Inst. Code, § 602.) Pursuant to Welfare and Institutions Code section 726, the court has the authority to limit the educational rights of the parent of a ward. its order of placement, that all in-state facilities or programs have been determined to be unavailable or inadequate to meet the needs of the minor and the that State Department of Social Services or its designee has performed initial and continuing inspection of the out-of-state residential facility or program and has either certified that the facility or program meets all licensure standards required of group homes operated in California or that the department has granted a waiver to a specific licensing standard upon certain findings. 34. A case decided by a federal court in Michigan held that when a student has been unilaterally placed out of the state, a district is not legally obligated to travel out of state to conduct the assessment. (See, e.g., Lenhoff v. Farmingham School District , (E.D. Mich 1988) 680 F.Supp. 921.) That case is not binding precedent. However, the other cases, which are persuasive here, have recognized that the application of this rule may depend on the facts of the particular case at hand. In a 1999 order, the Special Education Hearing Office held that California has no per se rule automatically relieving LEAs from the obligation to assess students who have been unilaterally placed out of state. (Student v. Pleasanton Unified School District and Alameda County Mental Health, Case No. SN 1546-98 (Order Re: Motion To Dismiss Alameda County Mental Health, January 25, 1999).) That order explained that while the reasoning of Lenhoff is generally persuasive, the question of whether Lenhoff controls in a given case may be influenced by the circumstances of the particular case. Such circumstances may include the nature of the student’s disability, the level of risk involved in removing the student from the placement and transporting him or her back to the assessing agency, whether or not the student has already been found eligible for special education services, and the potential levels of cost and difficulty in arranging for an assessment at the student’s out of state placement. Did District fail to assess Student in the area of social/emotional needs from March 8, 2005, through January 5, 2006, by (a) failing to conduct a social/emotional assessment; (b) failing to make a timely referral to Mental Health for mental health services pursuant to AB 3632; and (c) failing to include the required information in the referral that was made on May 6, 2005? 59. Based on Factual Findings 4 through 21 and Applicable Law Nos. 2 through 8, District failed to assess Student in the area of social/emotional needs from March 8, 2005, through May 15, 2005. During that time period, District had reason to suspect that Student had a disability in the area of social emotional needs. In addition, District was required to assess Student in all areas of suspected disability, including social/emotional needs, prior to making a referral to Mental Health. 60. District’s failure to assess constitutes a procedural violation under the IDEA. For time periods prior to July 1, 2005, a procedural violation constituted a denial of FAPE only if the violation resulted in a loss of educational opportunity for the child or significantly impeded the parent’s right to participate in the IEP process. 61. District’s failure to assess impeded Student’s right to FAPE because from March 10, 2005, through May 15, 2005, he was receiving no services to address his unique social/emotional needs, was failing in school, was mostly absent from school, was depressed, and showed other signs of mental illness. Because District did not assess, Student’s needs were not determined and Student received no services to address his mental illness. During received no educational benefit during this time period as a result of District’s failure to assess. 62. Based on Factual Findings 22 through 24 and Applicable Law No. 31, District had no obligation to assess Student from May 15, 2005, through July 22, 2005, because Student was in juvenile hall. 63. Based on Factual Findings 25 through 30, District had no obligation to assess Student from July 22, 2006, through January 10, 2006, because Student was privately placed by Mother, first in Tranquility Bay in Jamaica (from July 22, 2005, through November 23, 2005) and then in Willow Creek School in Utah (from November 2005 through January 10, 2005.) District was not notified of the parent’s unilateral placement, was not joined in the juvenile court proceedings, and was not aware of the placement until January 10, 2006, when Mother requested that District assess Student. 64. Based on Factual Findings 31 and Applicable Law Nos. 2 through 8, District had an obligation to assess Student when it received Mother’s request for assessment of Student of January 10, 2007, and District assessed Student pursuant to that request. Student challenges the timeliness of that assessment, which is addressed in Issue. 65. Based on Factual Findings 32 through 36 and Applicable Law Nos. 9 through 19, District failed to make a timely referral to Mental Health for mental health services after the March 10, 2005, IEP meeting. District was required to make that referral within five days of the day that Mother signed consent for the referral, which was March 10, 2005. The referral should have been made by March 15, 2005, but it was not sent to Mental Health under after May 6, 2005, and not received by Mental Health until May 11, 2005. This referral was almost two months beyond the timeline. District’s failure to make a timely referral to Mental Health was a procedural violation. Because Student was failing, was not attending school, and was displaying obvious signs of mental illness during this time period, District’s delay impeded Student’s right to a FAPE and deprived him of educational benefits. 66. Based on Factual Findings 37 through 42 and on Applicable Law Nos. 9 through 19, District failed to include the required information in the referral because Student had not been provided psychological counseling as a related service prior to the referral to Mental Health, and District failed to explain why these services were inappropriate for Student, as it was required by law to do. District’s failure to include this information was a procedural violation. However, Student was incarcerated in Juvenile Hall suspended from school on May 12, 2005, for smoking, and was incarcerated in juvenile hall on May 15, 2005, for hitting his father with a hammer. In addition, Mother did not sign and return the assessment plans that Mental Health sent to her on June 23, 2005, and on July 26, 2005. Therefore, the failure to include the required information in the referral was harmless error because Student would not have been available to receive mental health services from District. This procedural violation did not impede Student’s right to a FAPE or deprived him of educational benefits, and did not significantly impede Mother’s opportunity to participate in the decision-making process regarding the provision of FAPE. Did District deny Student FAPE following Mother’s January 6, 2006, assessment request by: (a) failing to respond to the assessment request within statutory timelines, (b) failing to make a timely AB 3632 referral to Mental Health after receiving the assessment request; (c) failing to complete the requested assessment within statutory timelines; (d) and failing to convene an IEP meeting within statutory timelines? 67. Based on Factual Findings 45 and 46 and Applicable Law Nos. 2 through 8, District failed to respond to Mother’s January 6, 2006, assessment request within applicable timelines, which require that District provide an assessment plan within 14 days. District received Mother’s request on January 10, 2006, and did not provide an assessment plan until January 31, 2006. 68. The assessment plan was given to Mother over a week late, which was not within statutory timelines and amounts to a procedural violation of the IDEA. However, this minimal delay did not impede Student’s right to a FAPE, did not, standing alone, significantly impede Mother’s opportunity to participate in the decision-making process regarding the provision of a FAPE, and did not deprive Student of educational benefits. 69. Based on Factual Findings 47 through 50 and Applicable Law Nos. 9 through 19, District failed to make a timely referral to Mental Health after receiving the assessment request on January 10, 2006. The applicable timelines require that the referral be made within five days. District did not contact Mental Health or make the referral until late August 2006. 70. Based on the foregoing, District’s referral of Student to Mental Health eight months after receiving the request was not within statutory timelines, and amounted to a procedural violation. This procedural violation impeded Student’s right to a FAPE and deprived him of educational benefits because Student was placed in a residential treatment facility out of state that was not certified as a nonpublic school by the State of California, and District’s delay resulted in Student not receiving an offer for placement in a certified nonpublic school until January 2007. Therefore, District’s failure to make a timely assessment to Mental Health amounted to a denial of FAPE. 71. Based on Factual Findings 51 through 69 and Applicable Law Nos. 2 through 8, District failed to complete the requested assessment within statutorily required timelines after receiving the assessment request on January 10, 2006. The applicable timelines require that the assessment be completed and an IEP team meeting convened within 60 days. District did not complete the assessment until October 24, 2006. District contends that Mother “impliedly waived” the statutory timely by agreeing that assessment information from Willow Creek could be provided to District rather than District conducting its own assessment and by refusing to make Student available for assessment in Pleasanton. The Education Code requires that any waiver from the parent be in writing, and Mr. Rezowalli was aware of that provision. District did not obtain a written waiver from Mother. In addition. Mr. Rezowalli did not ask Ms. Brandon to contact Willow Creek for the assessment information, and he could not remember when he first contacted Willow Creek. Although Mother had signed an assessment plan for Student’s assessment at Willow Creek on January 30, 2006, the day before her January 31, 2006, meeting, this plan did not propose assessment in the area of social/emotional. Had Mr. Rezowalli contacted Willow Creek, he would have learned that the Student’s assessment plan by Willow Creek did not include assessment in the area of social/emotional needs. 72. With regard to District’s contention that Mother refused to make Student available for assessment, the evidence demonstrates that she feared for her safety and that of her daughter, she knew school issues were a trigger for Student, Student was a “ticking time bomb”, and Student had violently assaulted his father in the head with a hammer. Mother did not refuse to permit Student to return to Alameda County for assessment, as he eventually did in October. She only refused to allow assessment when he was staying with her. Mr. Rezowalli conceded that it would have been prudent to assess Student earlier using the plan that was eventually used. As discussed previously, there is no per se rule automatically relieving districts of the obligation to travel to another state to assess a student who has been unilaterally placed out of state. In light of the unique facts of this case, District was required to go to Utah to assess Student, or to make arrangements to return Student to California for assessment without Mother’s involvement. 73. The delay of over seven months in completing the assessment amounts to a procedural violation of the IDEA. This delay impeded Student’s right to a FAPE because Mother was required to fund Student’s placement during this time. 74. Based on Factual Findings 70 through 72 and Applicable Law No. 6, District failed to convene an IEP meeting within statutory timelines. District received Mother’s assessment request on January 10, 2006, and the IEP meeting was convened on December 20, 2006, and concluded on January 17, 2007. 75. The delay in convening an IEP meeting within statutory timelines amounts to a procedural violation of the IDEA. This delay impeded Student’s right to a FAPE and did deprived Student of educational benefits because Student was, the entire time of the delay, in placed in a residential treatment facility in Utah that was not certified as a nonpublic school by the State of California, and it was because of District’s delay that Student was not offered a placement in a certified nonpublic school until January 2007. Did District fail to offer Student a free appropriate public education (FAPE) from March 8, 2005, through January 16, 2007, by failing to determine that Student was eligible for special education and related services under the category of emotional disturbance (ED)? 76. Based on Factual Findings 73 through 80 and Applicable Law Nos. 40 through 44, District did not deny Student a FAPE from March 8, 2005, through January 17, 2007, by failing to determine that Student was eligible for special education and related services under the category of ED. Regarding the time period from March 8, 2005, through May 15, 2005, when District was Student’s district of residence and District was responsible for provide Student a FAPE, Student failed to meet his burden of proof that he met the criteria for eligibility for special education under the category of ED. Student clearly met his burden of proving that District was required to assess, but not that Student met the criteria of ED at that time. Student offered the testimony of Ms. Wilde, who was Student’s therapist beginning in July 2006, but she did not know Student between March 8, 2005, and May 15, 2005, and had not seen his school records from this time. Student also offered the reports from Student’s psychiatric hospitalizations on May 16, 2005, and on May 23, 2005, however, neither of these reports evaluate the criteria for ED, and both reports were prepared while Student was traumatized and in crisis, thus diminishing their validity. 77. As discussed previously, District was not responsible for Student’s education from May 15, 2005, through July 22, 2005, because Student was in juvenile hall. From July 22, 2005, when Student was privately placed by Mother pursuant to a plea bargain that Mother entered because Mother did not want Student placed by the court in a locked juvenile justice facility or in a foster home, District was not responsible for Student’s education. After January 10, 2006, District assessed Student and determined he was eligible for special education and related services under the category of ED. While Student claims this was not done within statutory timelines, that claim is addressed in Issue 2. Did District deny Student a free appropriate public education (FAPE) from August 23, 2000, through January 16, 2007, by (a) failing to offer and provide Student with psychological counseling as a related service to meet his unique social/emotional needs; and (b) withholding from Mother information regarding the availability of psychological counseling as a related service for Student, thereby prohibiting Mother from adequately participating in Student’s educational decision-making process? 78. As discussed previously, Student’s claims prior to March 8, 2005, are barred by the statute of limitations. 79. Based on Factual Findings 81 through 92 and Applicable Law Nos. 9 through 19 and 36 through 39, District denied Student FAPE because the March 10, 2005, and the May 5, 2005, IEPs failed to offer psychological counseling as a related service to meet his unique social/emotional needs. By Ms. Brandon’s own writings supporting her referral to Mental Health, Student required these services in order to meet his unique needs. In addition, the evidence was overwhelming that Student had a unique need for psychological counseling in order to access educational benefit. District’s argument that Student did not have a unique need for psychological counseling because District was making a referral to Mental Health is contrary to law. A district is required by law to provide services, including psychological services, required to meet a Student’s unique needs. No provision of law relieves a district of that obligation if the district has made a referral to Mental Health and that referral is pending. Student’s symptoms were so severe as to require a referral to Mental Health, and District employees, including Dr. Arndt, agreed that referral was appropriate. The offers on March 10, 2005, and May 5, 2005, were, therefore, legally insufficient offers of FAPE. 80. As discussed previously, District did not have an obligation to offer or provide Student with psychological counseling from May 15, 2005, after Student was placed in juvenile hall, or after Mother unilaterally placed Student in Tranquility Bay and Willow Creek. District’s obligations with respect to Student resumed when District received Mother’s letter requesting assessment on January 10, 2006. After receiving that request, District assessed Student and offered mental health services that Student accepted and does not challenge. 81. As discussed previously, Student’s claims prior to March 8, 2005, are barred by the statute of limitations. 82. Based on Factual Finding 92 and Applicable Law Nos. 45 and 46, a district is required to consider only those programs and services that are appropriate in meeting the unique needs of the student, and is required to make a formal written offer in the IEP that clearly identifies the proposed program. Thus, a district is required to offer services required for FAPE. Thus, Student’s claim that District failed to offer and provide psychological counseling services as a related service is addressed in Issue 4. Did District deny Student FAPE by failing to provide Student with any special education services from January 27, 2005, through March 10, 2005, during which time Student was enrolled in independent study? 83. As discussed previously, claims prior to March 8, 2005, are barred by the statute of limitations. Thus, this claim involves District’s failure to provide services on only March 8 and 9, 2005. 84. As discussed in Factual Findings 94 through 97 and Applicable Law Nos. 36 through 39, a district is required to provide a FAPE to students in special education. District’s failure to provide special education services on March 8 and 9, 2005, was a denial of FAPE. However, because denial involved only two days, the denial was insignificant. 85. District denied Student FAPE from March 8, 2005, through May 15, 2005, by failing to assess Student in the area of social/emotional, by failing to offer psychological counseling as a related service, and by failing to make a timely referral to Mental Health after the March 10, 2005, IEP meeting, as discussed above. However, Student was placed in juvenile hall on May 15, 2005, as a result of his assault on his father. On July 15, 2005, Student was adjudged a ward of the court pursuant to Welfare and Institutions Code section 602. That day, Student entered a plea agreement with the court. According to the terms of that agreement, the court would not commit Student to one of the statutorily required placements, if Mother found a private placement for Student. Mother did not want Student to be committed to one of the statutorily required placements, and she found a private placement for Student. As a result of that agreement, the court granted Mother the discretion to place Student at Tranquility Bay in Jamaica. 86. Student remained in juvenile hall until July 22, 2005, when he was transported to Jamaica by Mother and unilaterally placed Student at Tranquility Bay in Jamaica, with the permission of the juvenile court. Tranquility Bay did not provide Student with an appropriate education and it was not an appropriate placement, as discussed in Factual Finding 99. In addition, District was not joined in this juvenile court proceeding, and District was not informed of the placement at Tranquility Bay. It is clear that the reason that Mother placed Student in Tranquility Bay was to avoid other placements. Had Mother’s purpose been to provide a FAPE that District failed to provide, Mother may have been entitled to reimbursement for that placement if it provided Student FAPE. However, that was not her purpose. Therefore, Student is not entitled to reimbursement for his placement at Tranquility Bay. 87. As discussed in Factual Finding 100, Tranquility Bay was not an appropriate placement for Student, and Mother removed him from that placement on November 24, 2005, and placed him in Willow Creek in Utah directly from Tranquility Bay. Student was still a ward of the court at that time, and the court’s wardship orders remained in effect. District was not notified of the placement at Willow Creek. The placement at Willow Creek was a continuing effort on Mother’s part to avoid placement of Student by the court in one of the statutorily prescribed options. It was a unilateral placement by Mother. 88. However, as determined in Factual Finding 103, by letter of January 5, 2006, Mother requested that District assess Student. At that time, District was obligated to assess. However, District denied Student FAPE following that request, as determined above, by failing to respond to the assessment request within statutory timelines, failing to make a timely AB 3632 referral to Mental Health after receiving the assessment request, failing to complete the requested assessment within statutory timelines, and filing to convene an IEP meeting within statutory timelines. 89. As determined in Factual Finding 105, District offered residential placement to Student on January 17, 2007, retroactive to January 8, 2007. However, until that offer was made, Mother was paying for Student’s placement at Willow Creek. After Student was asked to leave Willow Creek, Mother paid for Student’s temporary placement at Teen Safe. 2007. 90. Given that District denied FAPE, it is necessary to determine if District should be required to reimburse Mother for the cost of private placement at Tranquility Bay, Willow Creek and Teen Safe and travel costs and related costs, and for costs Mother paid in connection with Student’s placement at Provo Canyon, which was the placement offered by District. 91. As determined in Factual Finding 103, until May 23, 2006, Student was a ward of the court, and Student’s placement at Tranquility Bay and Willow Creek were unilaterally made by Mother pursuant to that court order. Mother testified that prior to May 23, 2006, she would not have considered any placement offered by District unless it was a locked facility and unless it was approved by the court. In addition, Mother did not give District notice of these placements. Therefore, District is not required to reimburse Mother for any costs associated with the placement at Willow Creek until May 23, 2006, when Student was placed in Mother’s custody by the juvenile court. 92. By May 23, 2006, the assessment Mother requested on January 5, 2006, should have been completed by District. In addition, IEP team meeting following the assessment should have been completed. Therefore, District is responsible for some portion of the cost of Willow Creek. According to Mr. Rezowalli, District would be responsible for tuition and transportation and incidental expenses and reasonable visits. Mental Health would be responsible for the residential and therapeutic portions. As discussed previously, Student settled his claims against Mental Health on the second day of hearing, and the terms of that settlement were not revealed. 93. Therefore, based on the above and on Applicable Law Nos. 20 through 32 and 47 through 58, District shall reimburse Mother for tuition for Willow Creek from May 23, 2006, through January 5, 2007, in the amount of $33,750, which represents seven and one-half months at the rate of $4,500 per month. District shall reimburse Mother for the cost of Student’s temporary placement at Teensafe, in the amount of $800. In addition, District shall reimburse Mother $500 for the advance on Student’s incidental expenses at Provo Canyon. 2. Alameda County Behavioral Health Care Services and the Alameda County Office of Education are dismissed as parties from this proceeding. Pursuant to California Education Code section 56507, subdivision (d), the hearing decision must indicate the extent to which each party has prevailed on each issue heard and decided. Student prevailed on a portion of Issue 1a, and on Issues 1b, 1c, 2b, 2c, 2d, and 4a . District prevailed on a portion of Issue 1a, and on Issues 2a, 3, 4b, and 5.